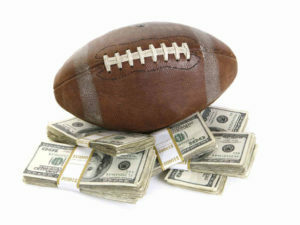 Is there money to be made in this week’s Wyo vs BSU match-up? It’s no secret. Boise has had our number for years. Over the past 5 years, Boise State has won this matchup every single time. And it hasn’t been close. For arguments’ sake, I’m just going to throw the average out there. The Cowboys have managed to lose by an average of 35 points. 35 POINTS! That’s 5 touchdowns each game that is the difference. It’s not all bad. Against the spread, the Cowboys have managed to be 2-3. That’s the good news. The bad news is Wyoming has never covered when the line has been in the teens. This week, Wyoming is a 14 point underdog. For me, gambling is 51% gut and 49% numbers. The numbers are against them. We have to break a streak sometime, right? Filled with hope, I’m going to trust my gut here and say Wyoming covers. Under the lights at the War, which will be sold out and rocking, Wyoming will do enough to make the game interesting. Brian Hill finally had the breakout performance we were all waiting for. Josh Allen was crisp, making decisions and most importantly holding onto the ball. The defense bent, but did not break. This is the recipe for success. 14 points is a lot of points. Boise, historically, has been good. But this year they haven’t been great. They squeaked by CSU and BYU. Those were both home games. They did just enough to win. I don’t think that just enough will be good enough. Brett Rypien is arguably the best quarterback we have faced yet this season. With increased focus on stopping the run and making teams one dimensional, it could be a long day for our secondary. Call me a skeptic, and I’ll be glad to say I’m wrong. I just don’t see how we come out with the victory. I do believe we keep it close, and it should be a fun game. I’m saying Boise State 31 Wyoming 27. Over/Under for this game is 61.5. Both teams can score and can also give up some points. It will be close, but I’m going to take the under on this one. Sure, San Diego State lost one game at home. They’re still really good. Donnell Pumphrey is the best player in the conference. Utah State hasn’t been good at all this season. Although this line seems fishy to me, it also seems like a really safe bet. I expect San Diego State to win big.